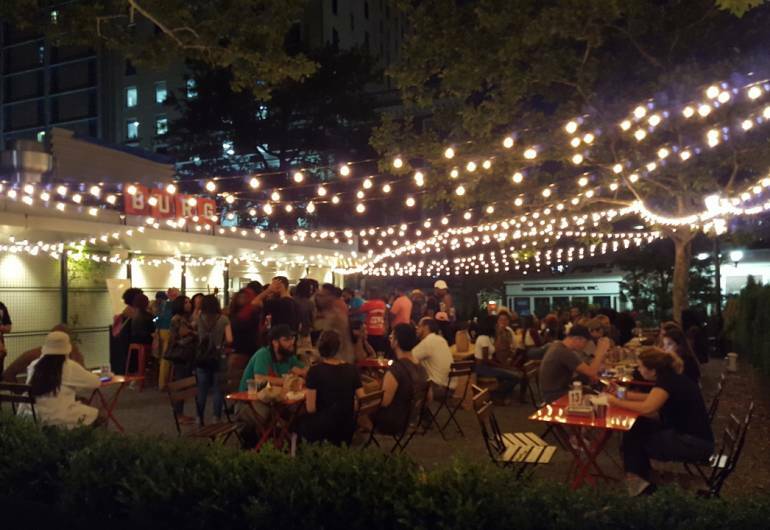 Wall Street Journal, Charles Passy reviews..."The burger boom has found its way to Newark." 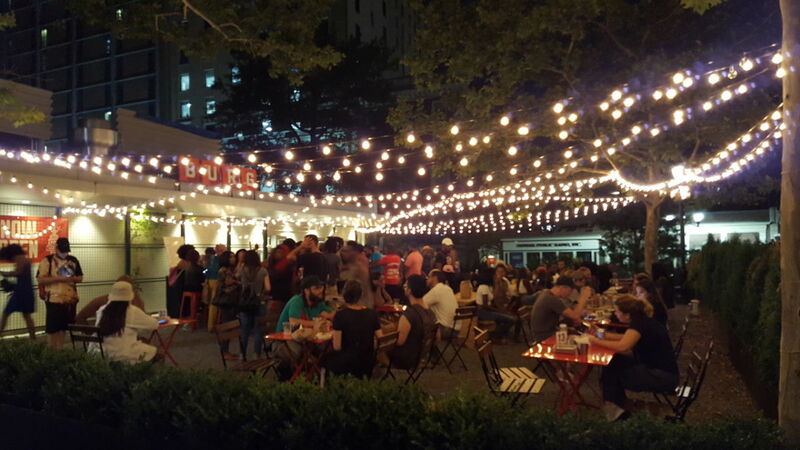 Village Voice, Adam Robb reviews..."Burg (55 Park Plaza, Newark), is a new all-day burger joint, an indoor-outdoor stand in the middle of the park serving fried pickles, rye slushies, and maple-vanilla soft-serve." Chef Chris Siversen, brings casual fare to Military Park. 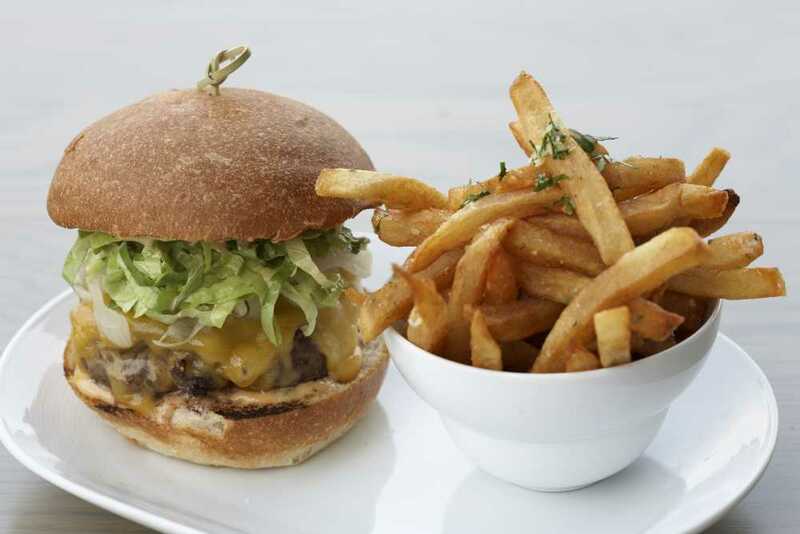 Dine under the stars with bountiful burgers made with locally sourced ingredients. Casual, hip and unpretentious...serving up pure burger goodness. Tackle the Cowboy Burger (blend of signature beef plus Roast Beef, BBQ Sauce, Griddled Onions), or a Chicken Burger with Kale Pesto (Pickled Onions, Sautéed Mushrooms) garnish it with a fried pickle, or pair your selection with an Ice Burg (Frozen Old Fashioned). Still have room? Order up a bag O'Doughnuts or a Coffee Float with Maple Bourbon Ice Cream. Mmmm. Get your burger on 7 days a week for lunch and dinner. Now featuring outdoor dining. Closed on weekends.